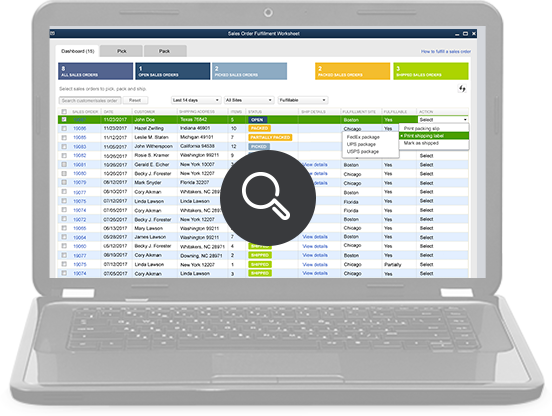 Ditch the paperwork with barcode scanning software. 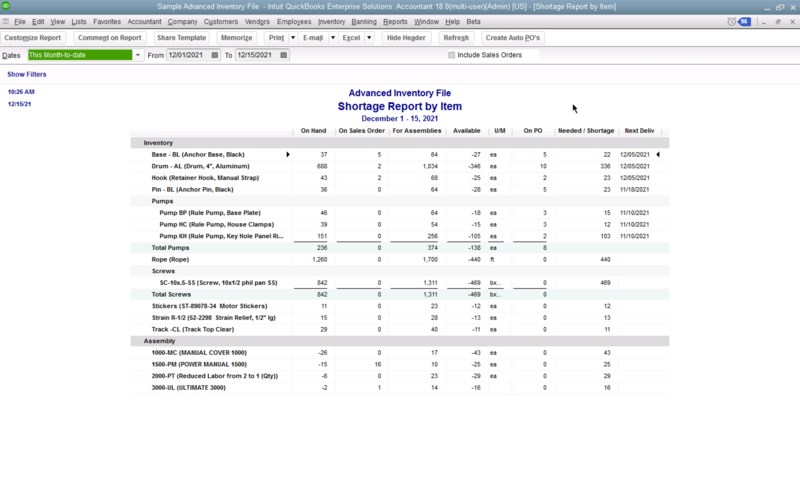 With reliable, real-time inventory data,1 you can make better business decisions. 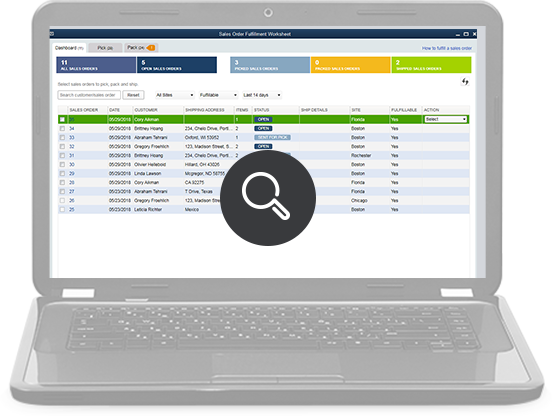 See the barcode scanner software in action. When an order comes in, the manager can choose which warehouse to fulfill it. 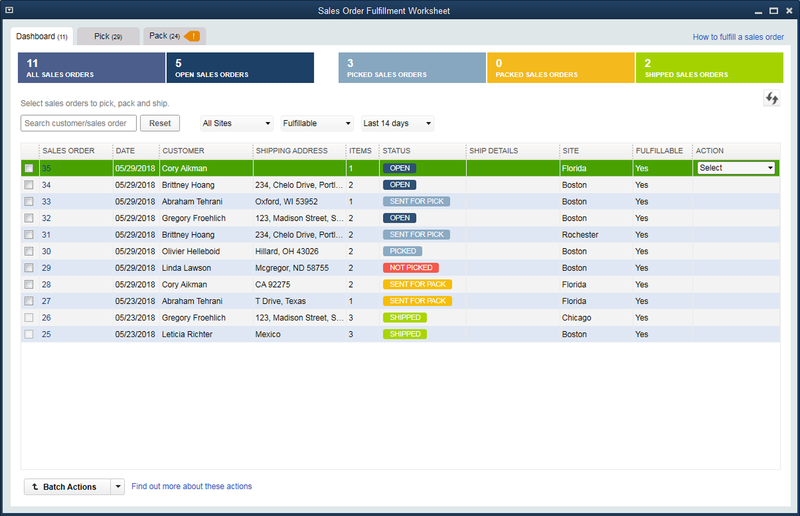 The manager assigns the order to a picker, who receives it wirelessly on their device, including notes and details. 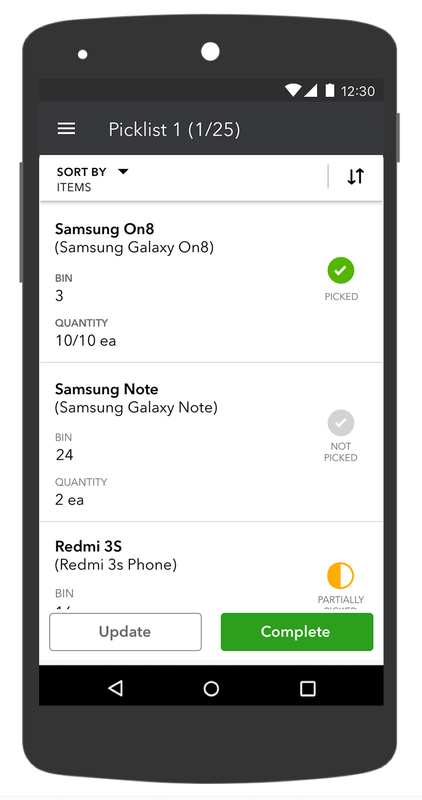 The picker confirms when the items are gathered for the order. The manager is notified when the items are picked and then sends the order for packing. Once the order is packed, the manager can mark it for shipping. 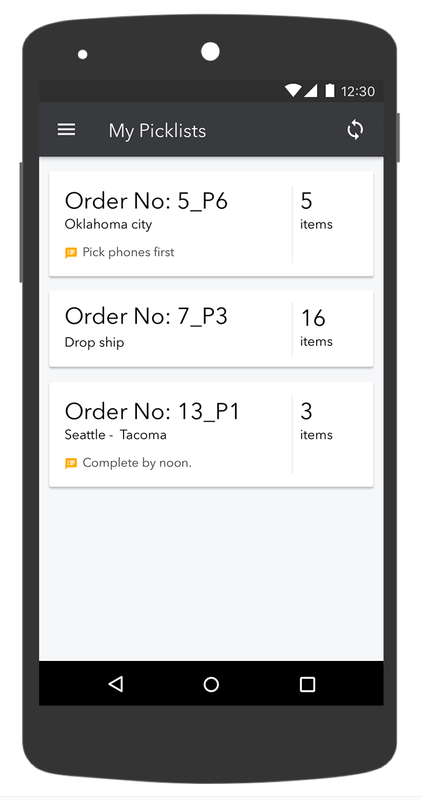 After the package is shipped, inventory is updated automatically and the manager gets real-time data to know when to reorder. Barcode scanning helps reduce errors and automate your business. 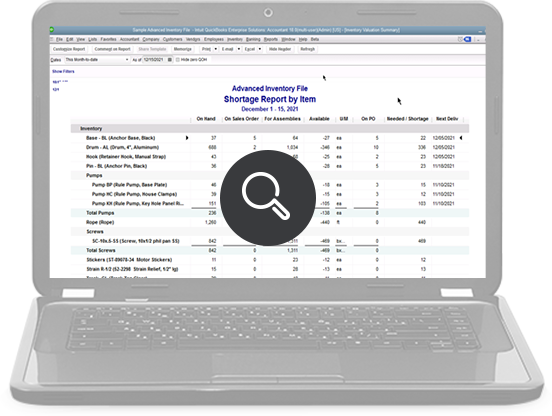 Incorrect unit counts, mismatched SKUs and improper cutoffs are just a few common inventory errors that cost companies millions in profits every year. 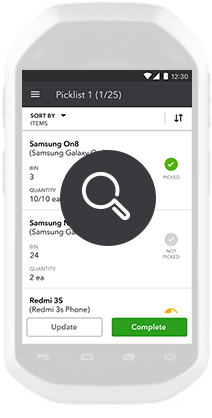 Enterprise's barcode inventory management helps solve this  and now it's mobile! 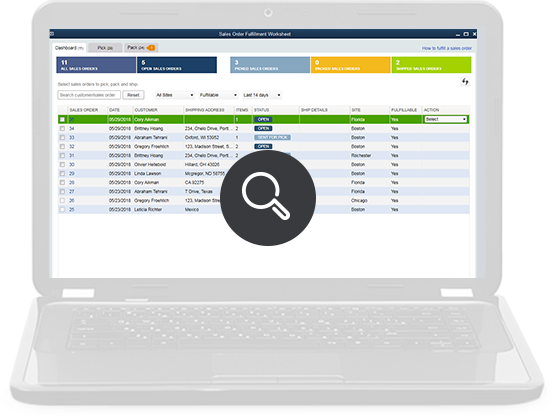 When you add barcode scanning to our new Enhanced Pick, Pack, and Ship, which lets you manage sales order fulfillment from a single dashboard in QuickBooks, you've got a powerful one-two punch that will help you save time as you automate more of your business. 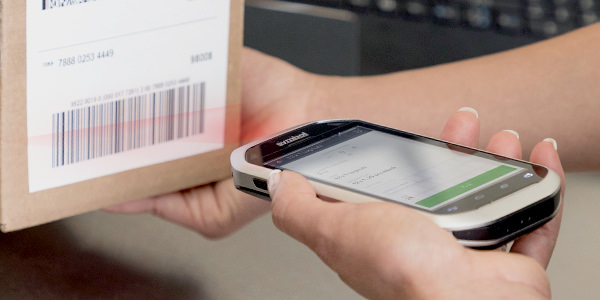 Streamline order fulfillment with mobile barcode scanning. 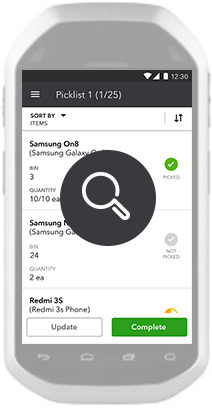 Imagine how much time you'd save on order fulfillment and inventory tracking if you could take it mobile. Enterprise's Advanced Inventory3 now offers mobile barcode scanning that lets you send an order from any location directly to anywhere on a warehouse floor. With a mobile device you can empower both your sales associates and your pickers to get their jobs done faster and more efficiently. 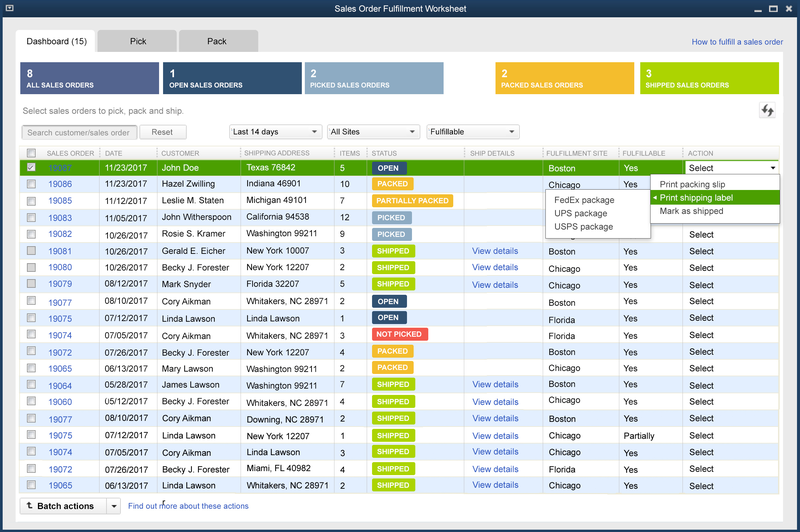 And you can manage the whole sales order fulfillment process from a single dashboard with our Enhanced Pick, Pack, and Ship. 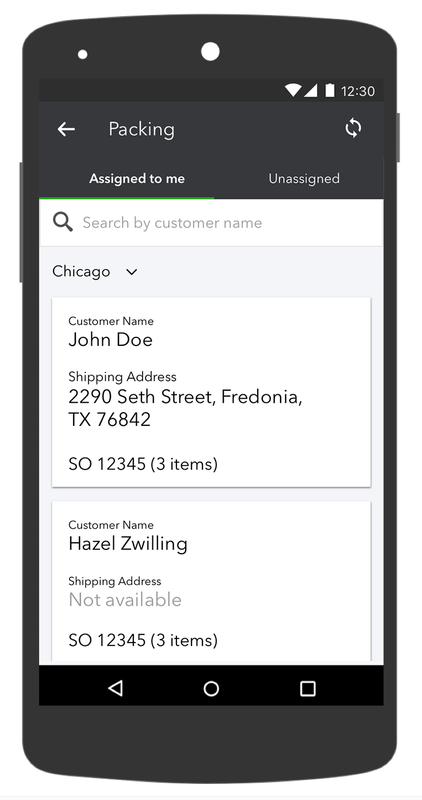 For more information about the QuickBooks Desktop Warehouse app for your mobile scanning device, see our help page. 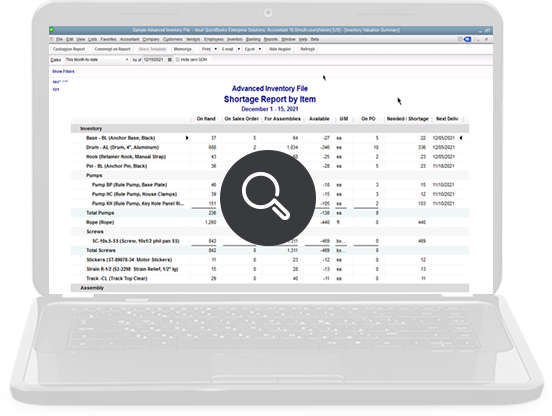 Only available in Advanced Inventory module, which is available in the latest release of QuickBooks Desktop Enterprise Platinum. 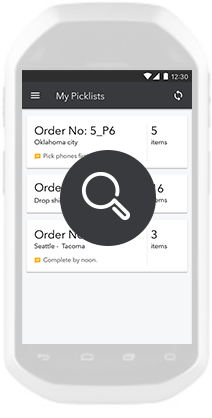 The manager assigns the order to a picker, who receives it wirelessly on a mobile device. As the picker works, they can see various details about the products, including name, location, and quantity. The picker confirms the items as they are gathered. Once the picker is finished, QuickBooks syncs the order, marking it as picked and shipped, and your inventory is updated automatically. 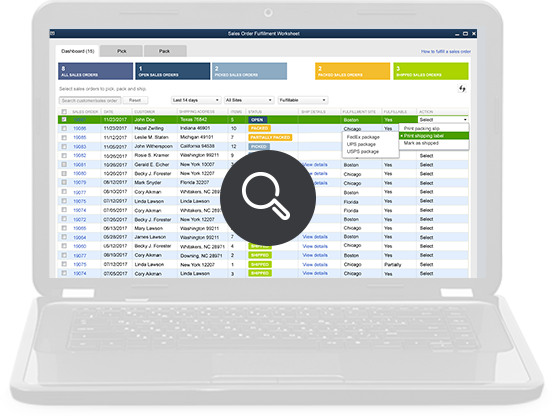 QuickBooks creates a Sales Order that reflects the recent order and you get real-time data in QuickBooks so you know when to reorder.